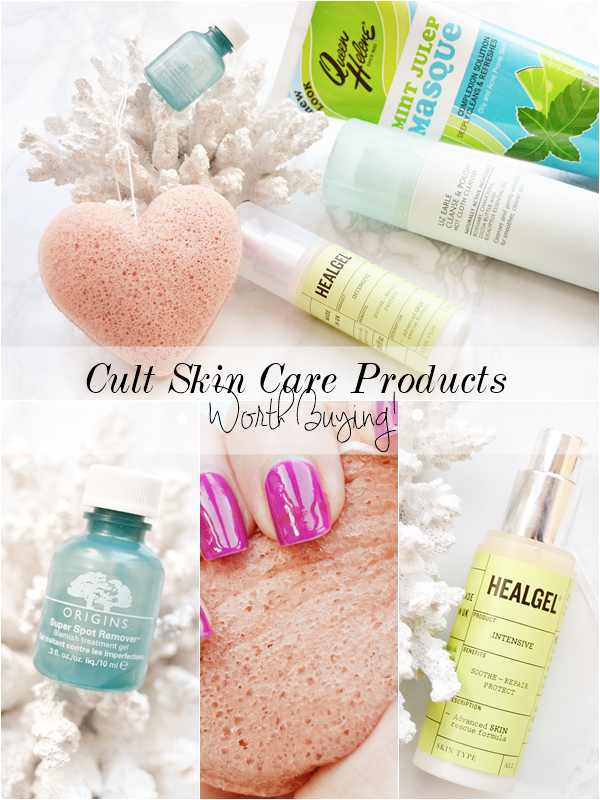 Cult Skin Care Products Worth Buying! When it comes to 'cult' products I sometimes have a job believing magazines. I mean when will that pink Maybelline mascara ever disappear? And don't even get me started on magazines that try to pawn off gigantic tubs of Vaseline as a cult skincare product. No - the sales are high because elderly people like to use it on their... just, yes, you can imagine. But I digress with my negativity! Because sometimes magazines do get it right (or just follow suit with bloggers, shhh) and highlight products that are seriously loved by many. 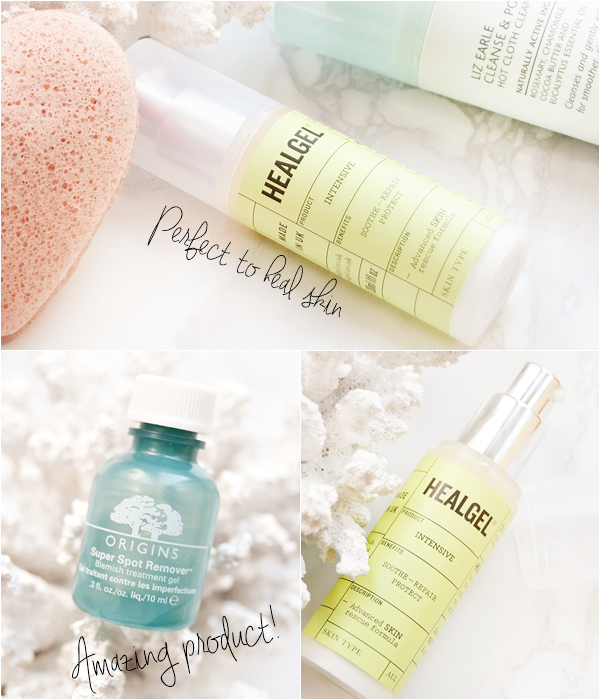 So today I thought I'd feature five skincare products that I truly believe deserve the term and that I feel are worth spending on if you have the intended skin type. Thought I'd start off with a bit of a confusing one as this is probably seen as a U.S cult favourite, seeing as you can only buy it online in the UK. This is an amazingly priced clay based mask for anyone with oily or blemished skin. 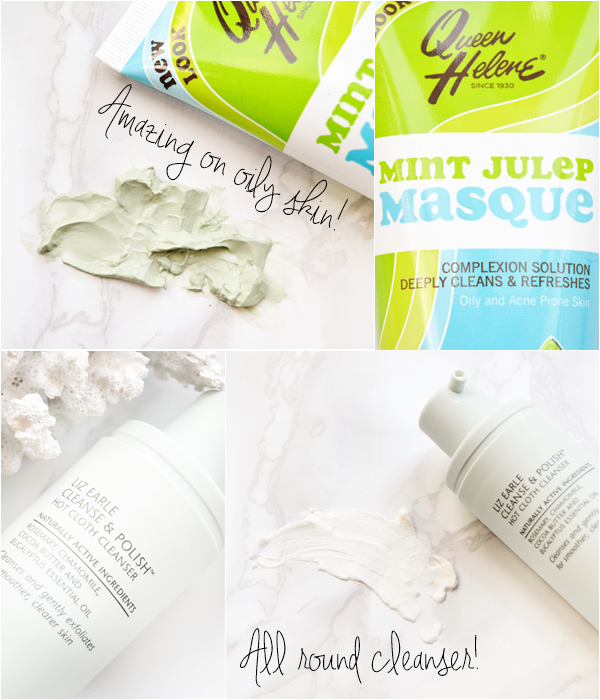 The mask is unlike any other I've tried and honestly feels more like a giant tube of toothpaste with it's thick consistency and spearmint scent, which does take a bit of getting use to. Once smoothed over the face this is one of those quick drying masks that feels tight on the skin but not uncomfortably so. Then once rinsed off it leaves the skin instantly smooth and brighter. But the lasting effects are that it controls oil secretion and dries up spots a treat! Also I'm convinced it actually does something to the pesky blackheads on my nose. This is truly an amazing mask for anyone with oily skin! Step one of achieving perfect skin is cleansing properly and with Liz Earle's Cream Cleanser you can't fail to do that. The creamy cleanser literally melts all makeup leaving a totally clean and nourished face due to all the lovely ingredients that won't irritate or leave the skin red. I've personally found when I go back to using this cleanser (because I always stray to try out something new) my skin looks so much clearer and brighter without 5 days of using it. A total staple for me and one that suits all skin types. The list of uses for this product are endless! I actually don't know where to start. Well I should explain that this is a light gel product that aims to help the repair process of the skin as well as calming the skin down. So this can be used to heal sore patches of skin, soothe skin that's had a reaction to another product, on sunburn, to fade spot scarring or scars in general, to use as an eye cream to fade dark spots and more! And yes, it actually works! I've use this many times to fade spot scars and only a few months ago it was a god send when I burnt my hand on the oven. Perfect for the face and all over the body really. To me it feels like half a medical product and half a skincare product with some amazing ingredients in it. Pricey but worth it! Beloved spot treatment, how I've relied on you countless times, through pimples to volcanos you have always stayed strong. Yes, just casually talking to my spot remover there - totally normal. Back to reality and yes, everyone needs this product in their life! Well not those annoying people that remember the last time they had a spot was in puberty. This tiny tub is like a potent mix of spot fighting stuff that literally zaps annoying blemishes away. AND it seems to last forever making it's pricetag of £15 for 15ml strangely worth it. Simply dab a small amount of gel onto the spot (even over makeup if you must) a few times a day and you will seem the spot disappear before your very eyes with in 1-2 days. Actually you will notice the difference after 2 applications, it's that good! Lastly the unique and quite beautiful Konjac Sponge. I've yet to get my head around what this sponge is made out of, it's vegetable fibres whatever they are, but it's a beautiful thing none the less. 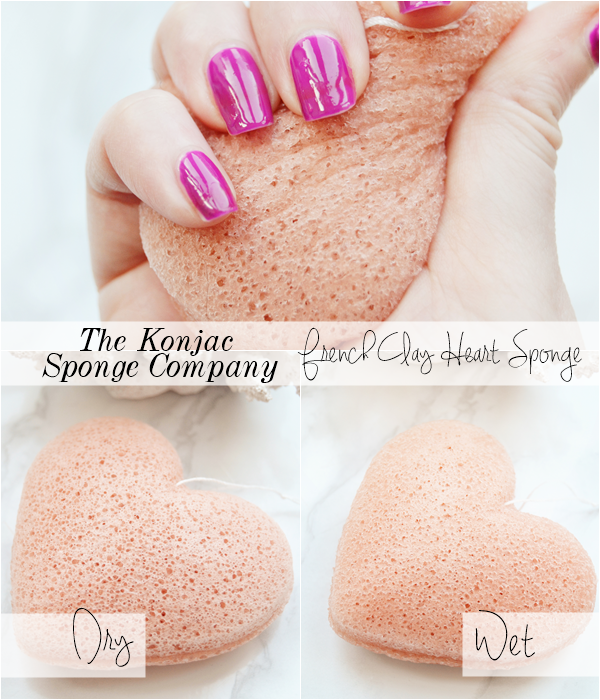 The idea of the wonderful sponge that feels nothing like it does went wet (it turns from a hard feeling pumice stone to a weirdly squishy... thing!) is that it's intended for tired or lack luster skin, making it perfect for use in winter when we seem to have our central heating on so often, though thinking about it it would also feel amazing on sun burnt skin. So anyway this can be rubbed over the skin be itself or with a cleanser. Most would prefer it with a cleanser to feel like it's doing something but I just love the feel of it over my skin after I've soaked it in water and rung it out. It literally feels so refreshing to the skin and leaves it soft and awake feeling. This is definitely a unique product but for the price and as an added extra to your cleansing routine this is perfect! Now very tempted to try the Konjac Sponge with Bamboo Charcoal which apparently helps reduce excess oil and blemishes. What are your own favourite cult products? I'd love to know!